Often blocked drains are a result of corrosion and rust build-up inside of old galvanised pipes. The blockages can be cleared, but often it is better to fix the root of the problem to eliminate continual blockages. Replacing galvanised pipes with PVC pipes can offer a better long term solution. Such was the case with this client. A customer called in one morning saying he needed us to help him clear a block in his kitchen pipe. As he had used us before to fix his laundry taps he was hoping we had someone available to clear the block for him today. Fortunately, we have several plumbers working for us so, we are able to attend to his job quickly. We started asking him a few questions about the job. Is there water coming out from your taps? Yes. Is the blockage in the waste line of your kitchen sink? Is water backing up from your drain? No, it just won't drain fast enough. Are there any other drains in the property that are not draining well? No, just the kitchen. How long since you noticed the situation? Just this morning, but it blocks up every now and then, usually drains away eventually but today it takes such a long time to drain. After, asking these questions from the owner, we advised him that we can send our plumber out within 2 hours to attempt to clear the drain. we also advised him not to use the kitchen sink in the meantime. After arriving on site we saw that water was still sitting in the sink and had not drained at all. We attempted to plunge the line to clear the water out. This was successful but when we tried to run the taps, it was still slowly draining. We looked under the bench top and found that the waste line was run in a galvanized line. Because of this, we are unable to disassemble it to visually inspect for blockages. We plunged the line again to clear the water and decided to pour drain acid down the line to help eliminate the block. After some time, we turned the kitchen tap on again and we can see now that the water is flowing freely. After the job, we spoke to the customer and asked him when the house was built. He said it was during the 1950s. We offered a suggestion to get the galvanized line replaced with PVC. We believe that due to the age of the galvanized pipes, it may be starting to corrode/rust from the inside and this may be what is causing the obstruction. After clearing the drain on the same day, the owner has asked us to provide a quote so he and the missus can talk about it. A quote was sent out to the owner on the same day. We hadn't heard from him, until 3 weeks after the job. He called saying the line is draining slow again and they would like to go ahead with the quote to replace the galvanized line. A schedule was set on the following day to attend the site to replace the galvanized line from the sink through to the gully downstairs. 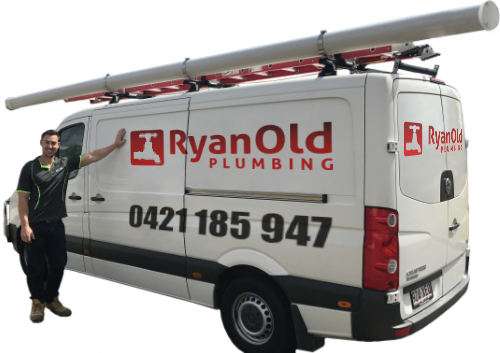 Ryan and his blokes always come when we need them. We have been calling them about several of our plumbing dilemmas and they have never failed us yet.